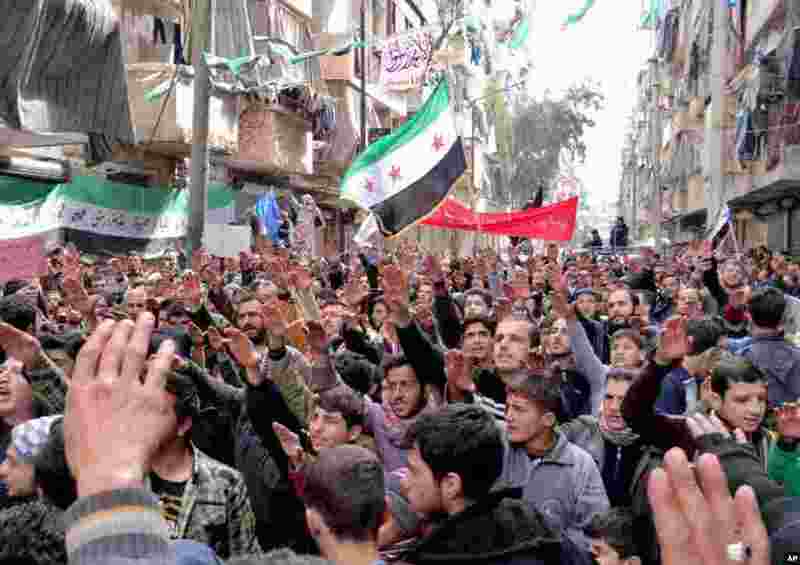 1 This citizen journalism image provided by Aleppo Media Center, AMC, shows anti-Syrian regime protesters in Bustan Al-Qasr, Aleppo, Syria, March 8, 2013. 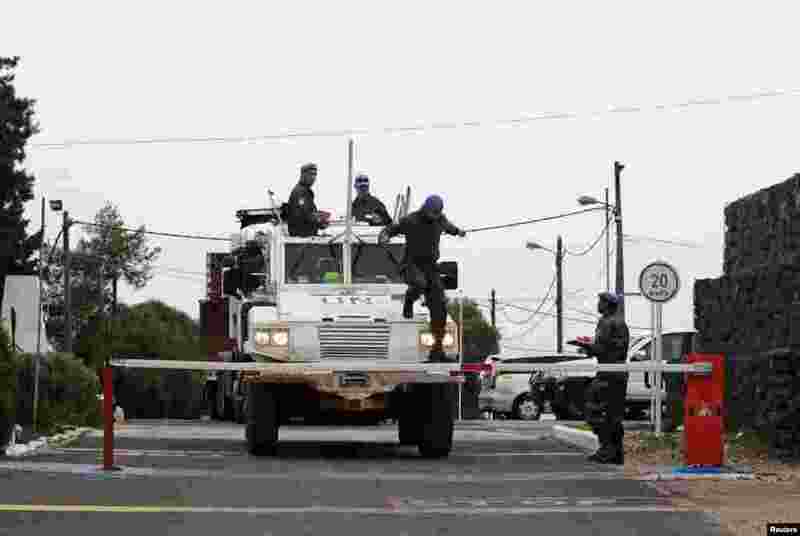 2 A United Nations armored car drives through a gate at a U.N. base near the Kuneitra border crossing between Israel and Syria, in the Golan Heights, March 8, 2013. 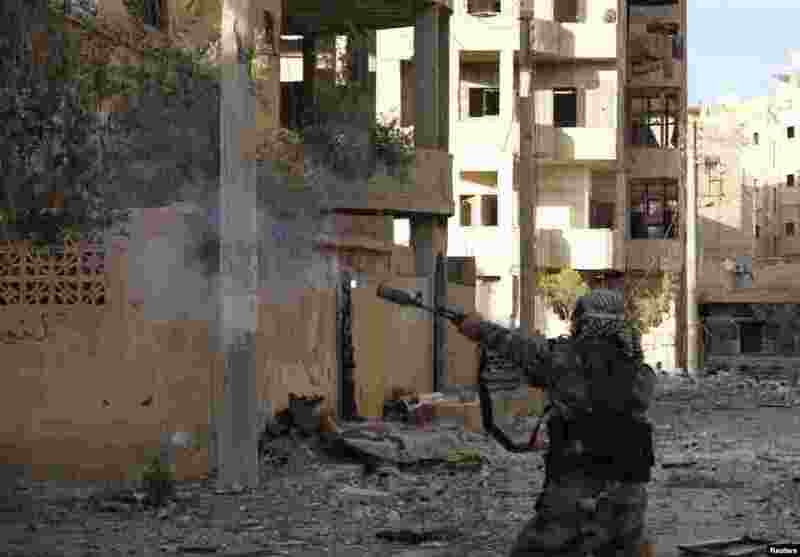 3 A member of the Free Syrian Army fires his weapon in Deir al-Zor, Syria, March 7, 2013. 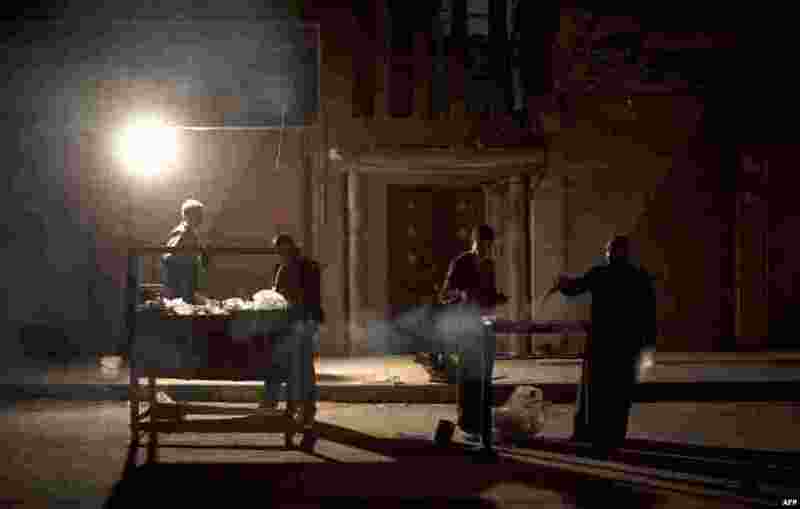 4 A father and son cook kebabs for residents in the city of Deir Ezzor on March 4, 2013. Once a thriving hub of Syria's oil industry, Deir Ezzor is now a ghost town of only a few thousand people.